How Far is Celebrity Sigma? 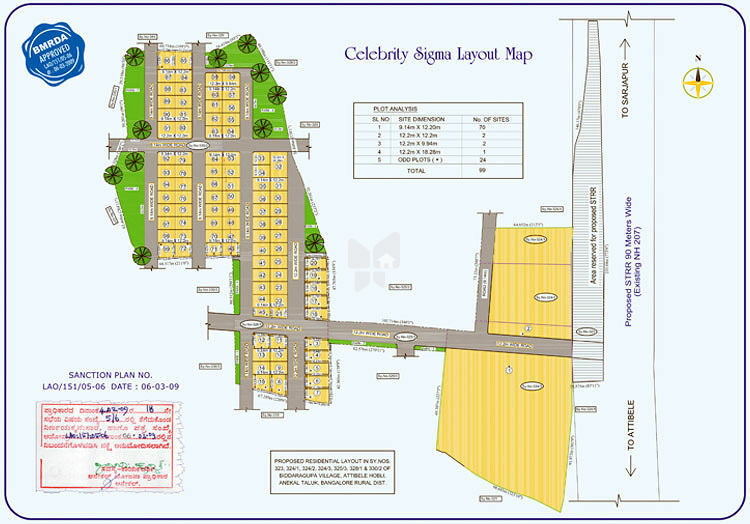 Celebrity Sigma is located on the NH 207 which is being given the highest priority by the Government to link Electronic City and Whitefield to the New International Airport by upgrading to 300' Satellite Town Ring Road. Celebrity Housing Projects is extremely well-connected to posh locations like Koramangala, Indiranagar, Whitefield, BTM Layout, HSR Layout and other parts of Bangalore. Just few minutes drive from the State Government announced Hi-Tech City. Sarjapur-Attibele road boasts the maximum number of World-Class Schools in Bengaluru. TISB, Indus International School, Gear Innovative School, Inventure Academy, India International School, and Delhi Public School are all located here. Whether you are working in Electronic City or Whitefield or the IT Corridor of Outer Ring Road (ORR), your residential location is the best choice because it is equidistant to all 3 areas (just 20minutes of hassle free driving). Even if you shift your job location from Electronic City to Whitefield or the other way round your travel distance will be the same.